Our information technology marketing services are essential for businesses today to operate and grow on the web. Our team has extensive knowledge in the hi-tech industry. If you company is trying to reach a certain market or trying to increase website hits we can help. 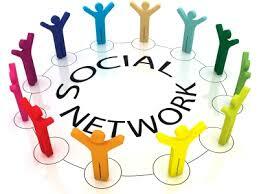 We will organize your online social networking and be sure its working for you. If you do not have time to manage your social network that is what we will do for you. We will also add articles based on your business operations and be sure to help promote your business operations. Talk to a representative today to see how we can help your organization build online presence.